As we approach Christmas I’m thinking about what to do at New Years Eve (NYE). Because I work shifts and unsocial hours; I’m working all over Christmas. Does it matter? I’m not sure that it does matter to me. NYE or Hogmanay has always been more of an event. Immediate/extended family and close friends that are considered family would always get together, enjoy each others company and go “first footing”. That was a time when we lived near each over and unfortunately some of those good friends are no longer with us, not living in the UK or those in the UK are not living near each other. However, we do make a point of meting throughout the year and on occasion we get together for a big knees up, sometimes is a much smaller affair and just a few of us meet up at NYE to go to a gig. The last NYE gig I attended was a few years ago. King Kurt were playing… They are a Psyhcobilly band that formed in the early 80’s, split up in the late 80’s and I believe formed for occasional reunion gigs. 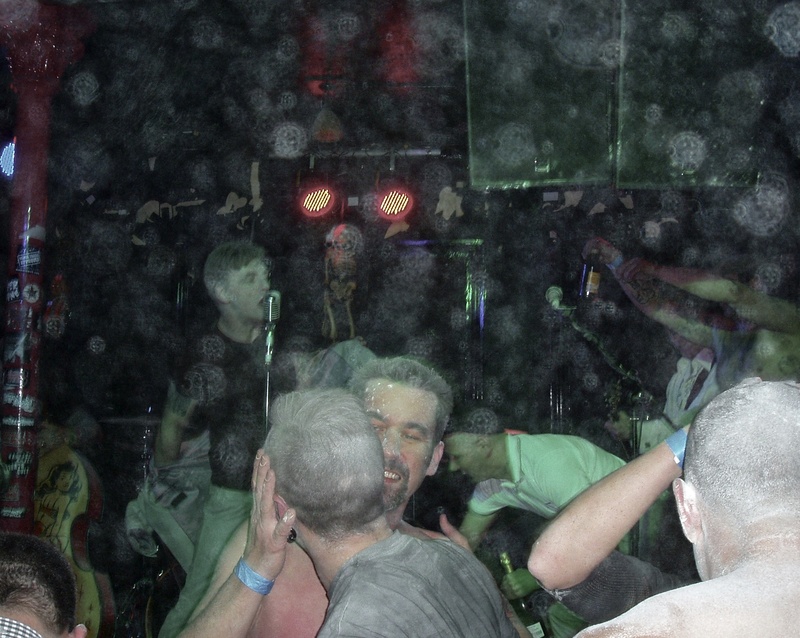 Some of the gigs, as seen in video clips were very very very messy. I was going through some pictures and trying to get some sort of order to my photos that are scattered all over my lap top (NYE resolution: get organised and stay organised), I found a couple of pictures taken at that King Kurt New Years Gig and it reminded me of something I posted about the importance of carrying a camera around. I’m pleased to say I had a camera with me but equally glad I had a cheap point and shoot compact rather than my DSLR. It was messy, flour got into everything and because we were covered head to foot we had to walk home. Thankfully it was a mild night. Lesson learnt here: Carry a camera but think about where you are going. (Random people at a King Kurt Gig). A messy but great night. Another lesson learnt and my top tip for 2013: Carry a small cloth or brush for cleaning your camera lens. Thanks for visiting my page. I hope you have a fab Christmas and a fantastic 2014. I’ll be back in 2014.